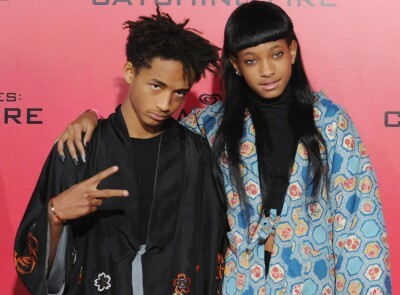 Willow and Jaden Smith, children of Will and Jada Pinkett Smith, recently sat down in an interview with the New York Times T Magazine and the internet has been buzzing on what was said. Some people are saying, “What are they saying?” But think about it, they have not lived what we know as the “normal” life and they are thinking so deep at such a young age… is that such a bad thing? Do you think of your new music as a continuation of your past work? JADEN: I think Willow’s had a huge evolution. WILLOW: I mean, “Whip My Hair” was a great thing. When I look back I think, “Wow, I did so much for young black girls and girls around the world. Telling them that they can be themselves and to not be afraid to be themselves.” And I’m doing that now but in a whole different way, coming from source energy and universal truths. People will be, like, “Oh, I’m not going to make a song about exactly how I feel, all the bad ways that I feel, and put it out in the world so everyone can judge me.” But for me, it’s a part of me, it’s my artistic journey. JADEN: That’s another thing: What’s your job, what’s your career? Nah, I am. I’m going to imprint myself on everything in this world. How do you write? What’s your process? JADEN: She gets in the booth and just starts singing. WILLOW: I mean, the beat is usually what moves me. Or I think of concepts. Then when I hear a beat that is, like, elaborating on that concept, I just go off. JADEN: She freestyles and finds out what she likes. Same thing with me. WILLOW: You piece it together. You piece together those little moments of inspiration. What are you searching for in those pieced-together moments? But do your collaborative relationships inspire you in different directions? WILLOW: Me and Jaden just figured out that our voices sound like chocolate together. As good as chocolate tastes, it sounds that good. How does fashion relate to what you do? WILLOW: I like to go to places with my high-fashion things where there are a lot of cameras. So I can just go there and be like, “Yep, yep, I’m looking so sick.” But in my regular life, I put on clothes that I can climb trees in. What are the things worth having? WILLOW: A canvas. Paint. A microphone. JADEN: Anything that you can shock somebody with. The only way to change something is to shock it. If you want your muscles to grow, you have to shock them. If you want society to change, you have to shock them. WILLOW: That’s what art is, shocking people. Sometimes shocking yourself. Wow… Just wow. What do you think? Let me know in the comments below!